There are many reasons why you might want to add a Twitter block to your Composr website. For a personal blog you may want to share your latest tweets and likewise a business may want to highlight their Twitter account to encourage people to follow them. Composr offers a Twitter addon block for this. This tutorial will show you how to add it to your website. To set up this you will need to import two of the non-bundled addons. These are The Twitter Support addon and also the Twitter feed integration block. Both of these addons can be found in the Third party integration category of the Addons page in your install. 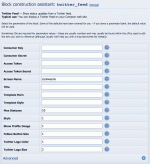 Scroll down and choose "Import non-bundled addon(s)"
Choose the Twitter support addon and click Install. On the next page you will be shown a list of files which will be changed as part of the installation. If you are happy that no files you have changed will be affected click Proceed. 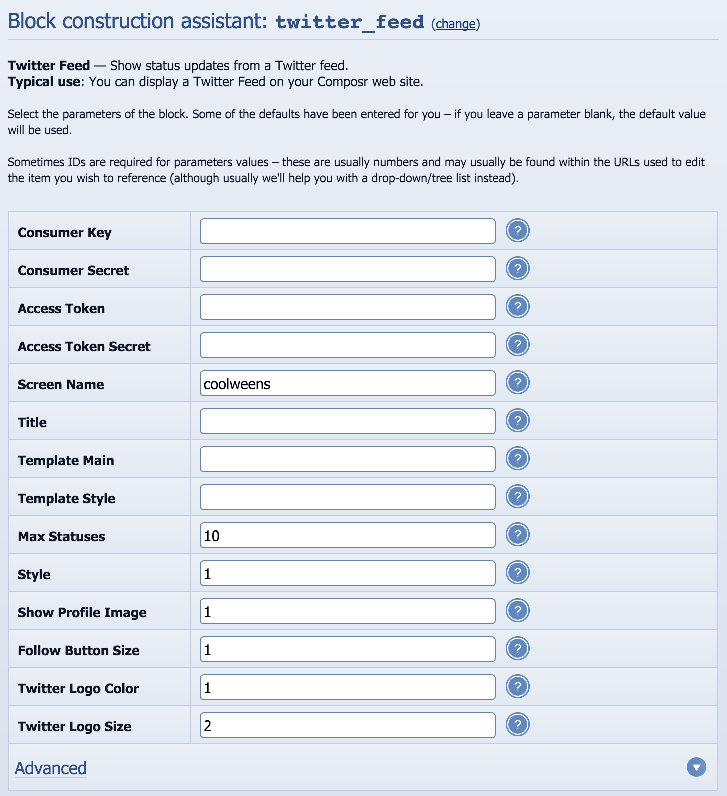 Repeat steps 4-7 for the Twitter feed integration addon. Scroll down to application type and change the application to "read and write"
From the Twitter devs page you will need the information located next to Consumer Key, Consumer Secret, Access token and access token secret. Fill in the first four boxes with the information you have just created for consumer key etc. The next box is for the Twitter account you wish to display the information from without the @. You can change the other options if you like including the title of the block and how many Twitter statuses it displays and if you have changed the template layout of the block. You can now preview, and if you are happy, save the block and save the page and your block should appear on your selected page.